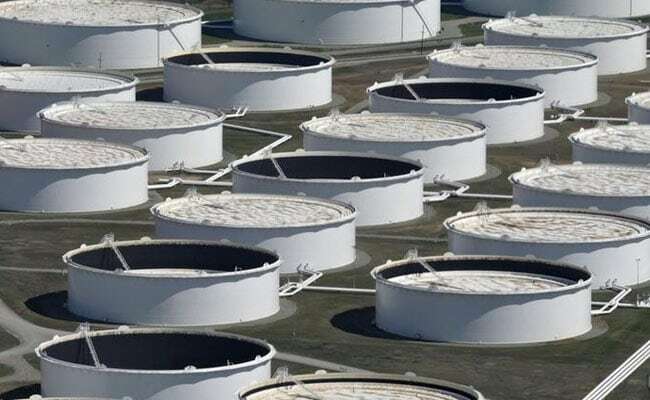 SINGAPORE: Oil prices soared by around $1 per barrel on Friday after the United States launched dozens of cruise missiles at an airbase in Syria. US President Donald Trump said he had ordered missile strikes against a Syrian airfield from which a deadly chemical weapons attack was launched earlier this week, declaring he acted in America's "national security interest" against Syrian President Bashar al-Assad. After tepid trading before the news, Brent crude futures, the international benchmark for oil, jumped by around $1 per barrel, or almost 2 per cent, to $55.78 per barrel by 0237 GMT. US West Texas Intermediate (WTI) crude futures also climbed around $1 per barrel, or almost 2 percent, to $52.64 a barrel. It was the highest level for both benchmarks since early March. The strikes rattled global markets. While oil prices surged as traders priced in what has in the past been called a Middle East risk premium, and safe-haven products like gold jumped, stock markets and the US dollar slumped. US officials said the military had fired dozens of cruise missiles against the airbase, controlled by Assad's forces, in response to a poison gas attack on Tuesday in a rebel-held area. The Pentagon said it had informed Russia ahead of the strikes, and that it did not target sections of the base in Syria where Russian forces were believed to be present.